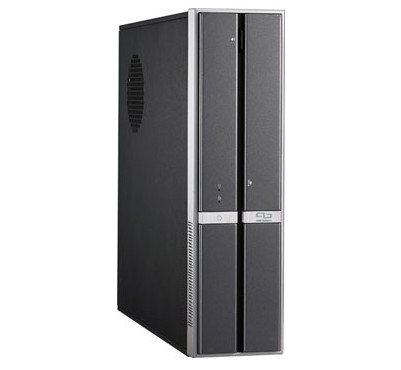 With its sleek and slim design, P3-PH4 is a great replacement for the old-fashion desktops. P3-PH4 can be placed vertically or horizontally to accommodate any work and home environments. 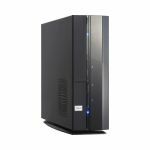 P3-PH4 incorporates 945G chipset, supporting the latest Intel Dual core CPU for robust computing and efficient system operations. P3-PH4 offers high flexibility despite of its compact size. It incorporated the latest SATA interface, dual-channel DDRII 667/533 SDRAM and PCI Express x 16 graphics. Configure hardware and software components based on your own needs. 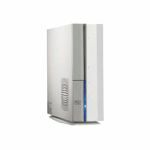 P3-PH4 supports a full array of multimedia functions, including 6-in-1 card reader, IEEE 1394 and 8-channel high-definition audio. The clever mechanical structure and special clip design of the P3-PH4 facilitates easy assembly, expansion and upgrade. Stop worrying about losing important files! P3-PH4 is equipped with the unique Recover Pro software that assures continuous data protection. Automatic creation of multiple restore points allows P3-PH4 to easily recover files without entering OS when the system is under virus attack.